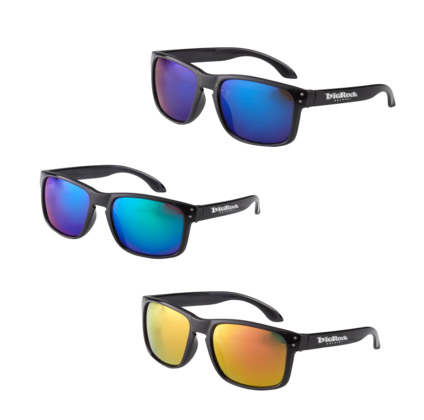 ALL STYLES OF SUNGLASSES ARE HERE. Mirrored lenses highlight the black frames. Stylish unisex style will look great on men and women. Large ad space on temples makes these perfect for any event. UV400 lenses providing UVA and UVB protection. Lenses are individually cello-wrapped,12 pieces per box. These take 7 business days in production, plus shipping time. Orders will be shipped in 7 business days.